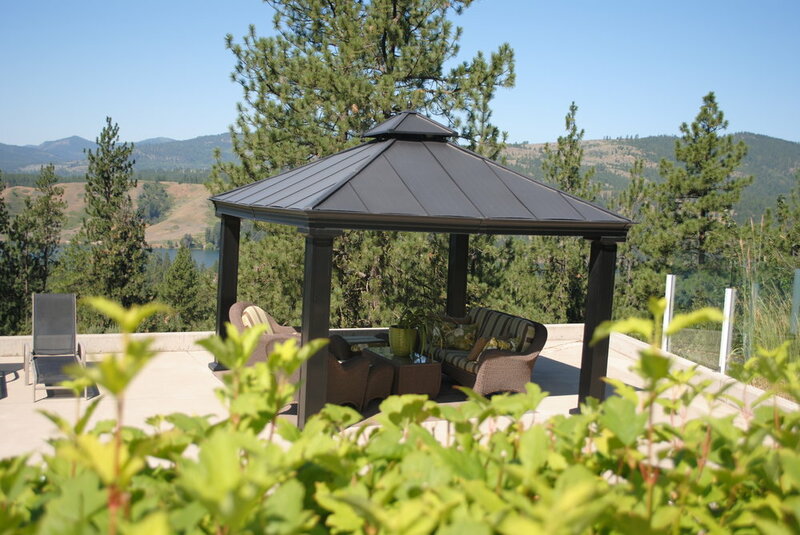 A lovely sunny day at Lake House pool and gazebo. The privacy of a small private resort where memories are made and relationships grow. in the breathtaking beauty of the countryside of Lake Roosevelt. CAN'T WAIT EVERY YEAR FOR SUMMER AT THE LAKE HUSE. THE LAKE, THE POOL AND THE COUNTRY ARE THE PERFECT COMBINATION FOR A WONDERFUL SUMMER VACATION. THE FRAGRANCE OF HERITAGE ROSES PERMEATE THE AIIR OF THE LAKE HOUSE PATIO... PINK, YELLOW AND FUSHIA OF OUR GRANDAUGHTER's ROSE GARDEN AND A BEAUTIFUL FRAMING FOR LOVELY PATIO OCCASIONS. AND THE FRONT PORCH. SUMMERTIME AND THE LIVING IS EASY. WARM SUMMER DAYS AND NIGHTS, A SWIMMING POOL AND THE AWESOME LAKE ROOSEVELT. 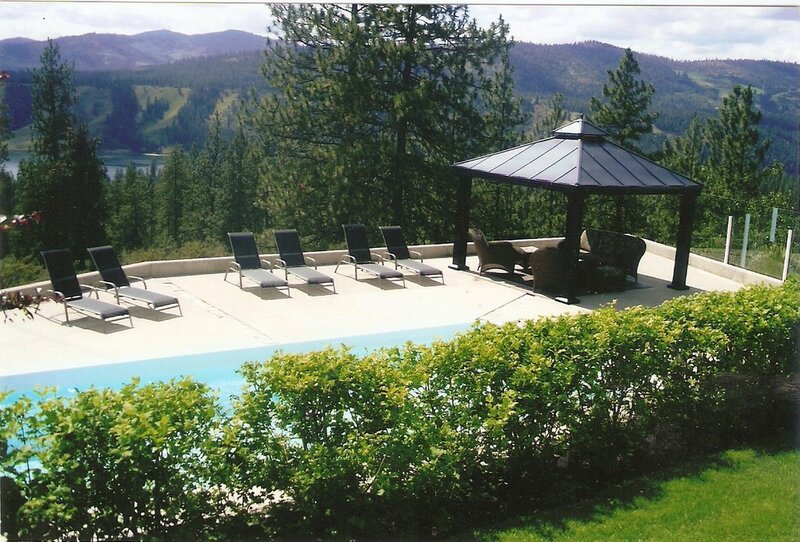 A PRIVATE PLACE FOR RENEWAL AND RELAXATION IN THE PONDEROSA PINE COUNTRY OF THE LAKE..